Austin Parker will produce the Chris-Craft “Commander” range of cabin cruisers as the result of a joint-venture with the famous American Shipyard Chris-Craft. The yachts of this new range, inspired by the distinctive lines of the Austin Parker models, will be exclusively produced at the Pisa shipyard (Tuscany, Italy) following the same quality standards that have always characterized Austin Parker yachts. The first model, to be presented next July during the Chris-Craft Worldwide Dealer Meeting at its Headquarters in Sarasota, Florida, will be the Commander 42, an evolution of the Austin Parker 42. The lay-out, interior style and the technical characteristics have been developed together with Chris-Craft, whilst the lines, hull and tonnage remain basically unchanged. Another two models Commander 36 and Commander 52 will be produced by 2017. The new Commander range will be distributed exclusively by the Chris-Craft network of authorized dealers. This partnership is an international testimony to Austin Parker design quality and the construction skills of its workforce which embodies Italian know-how in producing first class yachts. The fundamental values of the Austin Parker brand and its expertise in the construction of large, luxury motor yachts will continue to be the basis for the further expansion of its lines which, in the near future, in addition to the classic 54’ fly S, 64’ fly S, 72' fly S e 74' fly S, will include new Austin Parker models to be exclusively distributed through the Austin Parker sales network. London, Amsterdam, Berlin, Hamburg, Mannheim, Frankfurt, Lübeck and of course Würzburg. These are only some of the stops on the Bavaria E-Summer Tour. This summer the new Bavaria E40 motor yachts are going on a unique trip through Europe. Also on board are friends, Facebookers, Instagrammers, bloggers and fans of the new Bavaria E40, with a new crew each day of each stage. The tour kicks off on 26 June in Almere close to Amsterdam and is scheduled to end on 14 August in Hamburg. The first stage of the Bavaria E-Summer Tour starts on 26 June in Almere. Traversing the Ijsselmeer and negotiating the Dutch channel network with stops in Enkhuizen and Lemmer, it will make its way to the stage finish in Sneek, where the Bavaria E40 is expected on 1 July. There further test trips are planned for the weekend. The first stage is organized by Jansma Jacht BV, the Bavaria motor yachts dealer in the Netherlands. 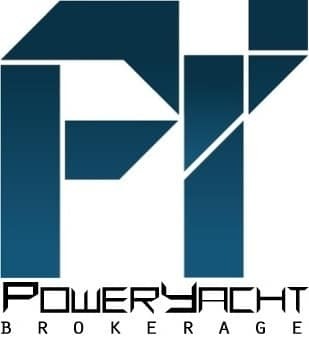 Transportation from Sneek to the start of the next stage in Mannheim is arranged by the E-Summer Tour partner Sleepy Yachttransporte, because the Bavaria E40 is expected promptly on 9 July at the Yacht Center in Mannheim for a big weekend event. There are several test trips on the program at the Yacht Center for this weekend before it departs on the Monday for Würzburg via Biebesheim, Mainz, Frankfurt, Aschaffenburg, Miltenberg and Lohr. During this stage there are also new guests on board the E40 every day, all eager to experience for themselves this revolutionary motor yacht with its three comfortable cabins, large saloon and new drive concept consisting of a Volvo Penta D4 engine and a powerful electric drive. While the first E40 continues its E-Summer Tour through Germany, a second Bavaria E40 will be on display at various locations in England. 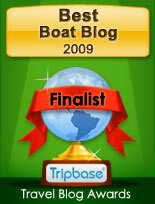 The highlight of this stage is the Thames Boat Festival at Henley-on-Thames near London. Here the E40 will be on display within sight of Tower Bridge on the weekend of 16 and 17 July. On the continent, the Bavaria E40 called “ENOVA” is in the meantime transported from Würzburg to Berlin by Sleepy Yachttransport. Leaving from the port of Allert Marine in Werder on 23 July, it departs from the capital on the next stage via the Havel, the Müritz, the Elbe and the Elbe-Lübeck Canal on the Baltic Sea on its way to Travemünde, where the Bavaria E40 is expected to arrive on 31 July. This will be the stage of Facebookers, Instagrammers, YouTubers and bloggers. A new team will report on the E-Summer Tour every day. The E-Summer Tour can of course also be followed on Facebook and Twitter. The last stage from Travemünde to Hamburg via Laboe, Kiel and the Kiel Canal is organized by NordOstsee Yachten. Facebookers, Instagrammers, YouTubers and bloggers as well as anybody else who would like to get to know the new Bavaria E40 can apply to join the tour. Ferretti Yachts is back in the spotlight in Russia thanks to its latest dealership agreement with Burevestnik Group for the exclusive distribution of the yachts bearing Ferretti Group’s renowned brand. The idea is to continue expanding its international sales network and reveal its range of 14 to 29 metre (45-96 feet) fibreglass flybridge yachts in partnership with one of the forerunners and most renowned players in the luxury yachting market in the country. Burevestnik Group was founded in 1993 by Andrey Boyko; with three sales offices in the main cities across Russia - its HQ is in Moscow with another two locations in Sochi and Saint Petersburg - its experience in the industry is truly extraordinary. The dealer delivers a vast range of products and services throughout Russia, offering the highest standards of assistance to owners: from the first approach to the future yacht through to after sales service, which has always been a motif of pride also for Ferretti Yachts and for all of the Italian Group’s other brands. Ferretti Group aims towards the continuous expansion and development of strategically important foreign markets through entering the region of the Caucasus thanks to the agreement signed with Caucasus Yachts, part of Euro Marina Group that is a pioneer in the yachting industry in this geographic area. 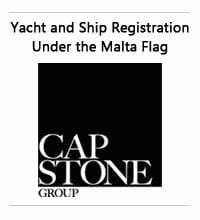 The dealership covers the Georgian territory and offers exclusive distribution rights to sell Ferretti Yachts, Pershing, Itama, Riva and Custom Line branded vessels. Caucasus Yachts headquartered in Tbilisi, Georgia, is part of Euro Marine Group, a division of UGT Group. UGT Group has a pivotal role in the business community of Georgia being one of the most important holding companies not only in the country but in the region, too. Moreover, Caucasus Yachts is the only organization specialized in the distribution of yachts in Georgia. It enjoys the support of Euro Marine Group that offers its crew and vessel management services, refit services, and fractional ownership options to clients worldwide. This agreement is in line with Ferretti Group’s strategy to strengthen commercial expansion on a global scale. Indeed, this cooperation will allow the Group to further grow its selected distribution network, which counts around 60 international dealers worldwide that guarantee their customers the highest level of support in over 80 countries. The dealership agreement will be officially presented to the press on the 16th of June in Tbilisi, at the Marriott Hotel followed by a private event that evening at the Funicular Lounge Bar, an exceptional club that is part of one of the most prestigious entertainment complexes of the country’s capital. At the encounter the Group will be represented by Mr. Stefano de Vivo, Chief Commercial Officer of Ferretti Group, while the representatives of Caucasus Yachts and UGT are Mr. George Chirakadze, President of UGT Group, Mr. Craig Bonnett, Executive Director of Caucasus Yachts and Ms. Inga Kupatadze, Managing Director of Caucasus Yachts. Gulf Craft recently welcomed 10 maritime regulators from across the GCC to one of its award-winning shipyards in the Emirates. Visitors were given a tour of the facility, and had an opportunity to witness the superyacht and yacht production process in action while meeting the skilled professionals behind the creation of the builder’s innovative vessels. They were also given the opportunity to meet with Gulf Craft’s Chairman, Mohammed Hussein Al Shaali. The guests included representatives from the UAE’s Federal Transport Authority (FTA), the UAE classification society, Tasneef, as well as maritime regulators from Saudi Arabia, Kuwait, and Oman. As a pioneer in the region’s leisure marine industry, Gulf Craft has been stepping forward to not only lend its expertise towards the development of the UAE Yacht Code, which sets the standards for the production of private yachts 24 meters in length and above in the country, but also towards the creation of the GCC Yacht Code, demonstrating the builder’s position as an authority on best practice. Having recently been recognized as the Best Asian Motor Yacht Builder at the prestigious Asia Boating Awards, and honored with the Quality and Value Award at the internationally acclaimed World Superyacht Awards, Gulf Craft continues to put the UAE and the GCC on the map for the timeless design and powerful engineering of world-class luxury yachts and leisure boats. For over 55 years, Hatteras has revolutionized yacht design; exceeding all expectations by creating products that are innovative, sophisticated and reliable. In recognition of these achievements, we are delighted to announce that the new Hatteras 70 Motor Yacht has been awarded the Robb Report's 2016 "Best of the Best" in the Yachts Up to 100 Feet category, appearing in the magazine's June, 2016 issue. Hatteras Yachts was proud to sponsor the 2016 edition of The Shootout: Production vs. Custom fishing tournament; part of the Abaco Diamond Series hosted by Skip's Tournaments. Now in its second year, the tournament brings some of the world's finest fishing vessels to the Bahamas to target marlin and other big game species. With $1.7 million at stake, 81 top teams in the mix and great fishing conditions for all, the 2016 Mississippi Gulf Coast Billfish Classic (MGCBC) which ran June 5-11 in Biloxi, Miss., was not for the faint of heart. But veteran offshore tournament angler Johnny Dorland of Orange Beach, Ala., owner and captain of the Hatteras 60 Cotton Patch, and his team were more than equal to the challenge. On Friday, June 10, Cotton Patch boated a 117-inch, 633-pound Blue Marlin that blew away the competition and gave the team an impressive First Place win in the tournament. In the first day of the Swansboro Rotary Bluewater Fishing Tournament, 61' Jarrett Bay, Sea Striker hooked up with a blue marlin. After a short battle, the team boated the fish and headed for Big Rock Landing for weigh-in. The fish came in at 564.7 pounds which could not be unseated throughout the weekend during the tournament. Congratulations to Captain Adrian Holler and the Sea Striker team for winning the Swansboro Rotary Tournament with their winning blue marlin and other game fish releases.What an awesome start to the season for team Jarrett Bay! 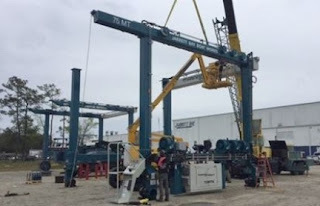 The Jarrett Bay Marine Industrial Park recently received a new 75-ton travel lift, which has replaced our 50-ton unit. The 75-ton lift is being assembled and the 50-ton unit being dismantled. Jarrett Bay now has two 75-ton lifts and our massive 220-ton lift at service! The owner of a Nordhavn 56 Motorsailer will attempt to become the first person ever to single-hand a Nordhavn across an ocean. Thierry Vestrade is set to depart Newport, RI on July 1, embarking on a solo mission to bring his boat Deo Juvante across the Atlantic to Europe. Despite more than 500 Nordhavns built and floating the world’s oceans, never before has an owner tried to cross one alone. It has been a childhood dream of Vestraete’s to sail the Atlantic Ocean by himself and he spent considerable effort searching for the perfect boat to help him achieve his goal. Since finalizing the purchase of the Nordhavn Motorsailer this past January, Verstraete has focused all his energy on addressing the countless details necessitated by the complexities of this trip. Sailing has been a way of life for the Belgian native, although his other passion, GTD Sports car racing of which he is a championship winning driver, has taken up the majority of his time in recent decades. Last year he decided to take a break from car racing and shift his interests back toward sailing, specifically pursuing his dream of single handing across the ocean. Now that dream is just days away from becoming reality. It’s been a journey just getting to this point, but his confidence in the boat and the support team he has put together are doing well to quell fears about being out alone at sea for so many days. He enlisted the help of a friend who has achieved several solo trips - including an 11th place finish in last year’s Vendée Globe race where he spent 105 days at sea - to help him properly outfit the boat and put together a schedule. He’s also hired a weather router and worked with a former mate and cook on putting together a meal plan. Nordhavns have a track record of successfully crossing oceans that is second to none. That statistic is not lost on Verstraete, although he intends to sail the entire way and switch the motor on only when absolutely necessary. His questions about her performance under sail were put to rest during his first seatrial. Verstraete estimates it will take him 25 days to get from Rhode Island to Ostend, Belgium. With final tests and provisioning complete, all that’s left is hoping an ideal weather window coincides with his intended departure time of early Friday morning. Upon a special invitation from the Marshall of the Pomeranian Region - Mr Mieczyslaw Struk - the Founder and President of Sunreef Yachts, Francis Lapp took part in the region’s trade mission to China. The visit which took place from May 17 to 23 2016 in Shanghai, featured several cultural and business events aiming to present the potential of the Pomeranian region to the Chinese audience and encourage cooperation in various sectors. 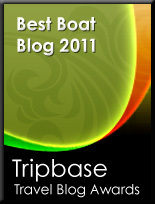 Sunreef Yachts specializes in the design and construction of luxury catamarans since 2002. The company’s yachts are recognized worldwide, namely on the Chinese market. Nearly 100 customized yachts have been so far launched at the shipyard, with 5 deliveries to the Far East. Sunreef Yachts' status as one of the most renowned regional companies with international outreach allowed it to take part in this prestigious initiative. After signing an exclusive agreement for the USA, Canada and the Caribbean with the respected Catamaran Company the agency which handled the sale of the very first Sunreef 74 – Wildberry, Sunreef Yachts is continuing to expand its worldwide brokerage network and has recently concluded an agreement for Australia with Vicsail a company offering a unique combination of knowledge, professionalism and sailing experience. Both Vicsail and The Catamaran Company are known to be focused on multihulls and international new and pre-owned sales and are now expanding their offer with Sunreef Yachts power and sailing range of individually tailored catamarans. In The Bite Dock Talk just released another episode of their popular video series and this one takes place on the Viking 92 Fa La Me. Dale Wills interviewed Fa La Me two-time InTheBite Captain of the Year Rob Moore, who the runs the Fa La Me for owners Frank and MaryEllen Rodriguez. Listen in as 30 year fishing veteran Rob talks about raising a heck of a lot of fish as well as managing the 92 Enclosed Bridge. Viking covered the leaderboard at the Orange Beach Billfish Classic. The top spot went to team Share-E fishing a Viking 61 with captain Mike Roberto at the helm. Angler Sherry Polk boated the 117" blue marlin that weighed in at 651.2 pounds. Second place in the blue marlin category was awarded to Matt McDonald's crew on his Viking 68 Breathe Easy. Breathe Easy captain Patrick Ivie brought a 574 pound blue to the scales to claim the title. Last year's blue marlin winner delivered a whopper to the marlin circle as well. Rusty Skalla and his team on the Viking 54 Rise Up weighed a 771 pound fish but were disqualified on time. Rocky Jones' Viking 56 Reel Addiction was second place overall in the catch and release division and Laurie Jones was the top lady angler. The Viking 50 Nikki Bella took the top wahoo with a 75.4 pound 'hoo. Team Supreme, a Viking 76, picked up a second place finish in the tuna category with a 146 pound fish. This is the first event of the Gulf Coast Triple Crown, stay tuned for more action. The Big Rock party got started with Bob Moss' Viking 66 Sandbob weighing the first blue marlin of the tournament. It brought back memories of the 2015 Big Rock Tournament and the 62 weighing the first blue marlin of the tournament which held on to win the event. This year, at the 58th annual event, the Viking 72 weighed the last blue of the tournament which put the team on the leaderboard in third place amongst a field of 174 boats. The Viking 72 released a blue earlier in the event but on their final fishing day, captain Ryan Higgins put the team on a double header early in the day. One was released and the other boated by angler Drew McDowell. The big blue clocked in at 564.1 pounds at the Release Marine weigh station. Earlier on Day Three the bite was bittersweet for the 72 crew. The Viking 72, that just rolled off the production line days earlier, hooked a huge blue marlin 20 seconds after lines were called. The fish would have been disqualified, so the crew pulled the hook. "It was the one time I was happy a big blue came off so we didn't have to put ourselves through the torture of seeing how big it really was boat side. That blue was definitely bigger than the fish we took to the scales," said Ryan. Anglers released 106 billfish which included 45 blue marlin, 34 whites and 27 sailfish. Nine blues were boated. The release rate was 92% and seven out of nine landed blues spent time on the Big Rock leaderboard. Captain Brian Komer on the Viking 62 led his team to top honors at the Abaco Beach Blue Marlin Invtational. Right out of the gate the crew took control of the leaderboard with angler Drew McDowell releasing a blue and white marlin, and mate Mark McDevitt adding another blue to the tally. Bob Shomo, Jr., released a white on Day Two while Dave Meyer landed the top mahi of the tournament weighing in at 39.5 pounds. The Viking 62 team kept the energy flowing on the final day with Bob and Mark each releasing a sail. Mate Mike Provow and angler Glen Clyat rounded out the 62 crew while Sami Ansari was behind the scenes capturing the adventure on film. "I couldn't have asked for a better crew and group of anglers," said Brian. "Everyone was eyes up and focused for three days. It was a team effort all around." Viking took over the leaderboard at the Cajun Canyons Billfish Classic. Battling amongst a fleet of 45 boats, captain Pat Ivie and owner Matt McDonald, on their Viking 68 Breathe Easy, called in a 104" blue for angler Rick Olsen. It was day one and after 8pm so the crew decided to overnight and weigh in Saturday morning. When Breathe Easy rolled up to the scale the fish weighed 392.3 pounds and clinched Third Place Blue Marlin. Second Place Release went to Done Deal, a Viking 70 with owner Jon Gonsoulin and captain Jason Buck at the wheel. Second Place Wahoo was weighed at 46.4 pounds by Dan MacMaster fishing with owner Dan Haeuser and captain Jimmy Crochet on the Viking 61 Conundrum. Chris Britton caught a 38.6 pound 'hoo on Sean Ely's Viking 56 Pour Intentions good for third place in that category. Laurie Jones won the tuna category fishing with captain Scooter Porto and Rocky Jones on their Viking 56Reel Addiction. Viking Yachts swept the dolphin division. First place went to Larry Wireman fishing his Viking 64 Caribwith captain Luke Crenshaw weighing in at 30.9 pounds. Second place was angler J.D. Hebert, fishing with his dad onboard his Viking 58 Geaux Deep weighing in a fish at 27.7 pounds. Third Place Dolphin went to Share-E angler Sherry Polk with a 26 pounder and fishing with her husband Buell and captain Mike Roberto on a Viking 61. Top Youth Angler was awarded to Jaselyn Berthelot releasing her first billfish, a blue marlin. She also weighed in a 37 and 103 pound yellowfin as well as 24.5 pound dolphin. Jaselyn was fishing with her dad Toby on his 52 Rising Sons. And yes, she did get a good dunk at the dock! The Viking 62 Tra Sea Ann, owned by Rob and Traci Manetta with Captain Jeff Thiel at the helm, scored twice with first place wins in the fifteenth Annual Breet T.Bailey Mako Rodeo and the Warrios for Warrios Charity Shark Tournamentout of Manasquan Inlet, New Jersey. Tra Sea Ann angler Christian Manetta weighed in a 428 pound mako shark at Hoffman's Marina in Brielle to win both tournaments. "It was a monster of a fish. They left at 8:30pm and within an hour of putting the lines in, they were hooked up," said tournament organizer Art Della Salla. The Mako Rodeo was created to honor the memory of avid fisherman Brett T. Bailey who perished in the World Trade Center attack on September 11, 2001. The Warriors for Warriors Charity Shark Tournament features former United States Navy Seals and local fishermen raising money for charities that support combat warrior veterans. Evo Yachts from Italy presents its new World Wide web showroom. Evo Yachts was founded in 2015, but its owners Sea Engineering have been in the boating buisness since 2008, first by founding the Blue Ice brand, and then in 2012 by buying out Blu Martin. When launching its first model, the Evo 43 at the Cannes show 2015, the Italian company took the World by surprise for the innovation this day sport cruiser featured. Evo Yachts new web site is available in Italian and English language and takes you around with the following buttons; Home, About Us, Evo 43, Gallery, News, and Contacts. Evo Yachts is also present in social media with bottom page link buttons to its Facebook, Instagram, and Pinterest pages. Sealine's fresh C330 launched the new Cruiser line up for the x-British now German boat builder, presenting itself as a versatile cruiser with market focus being that of Northern Europe. At just ten meters in length and as the sportier S330 the Sealine C330 brings a real cruiser focus in just ten meters of length, with a fully enclosed extended hard top dedicated to all season cruising being rain or shine. For Sealine space is as always an important word with the lower deck offering two double cabins, and a main deck featuring an L-shape dinette and opposite galley. Standard power comes from a single Volvo 330hp, with option of a more powerful 400hp or twin 220hp units. Horizon presents its new sport yacht model, the new E56XO which combines sleek exterior styling and numerous outdoor amenities with luxurious interior accommodations. She is based on the popular E56 model but offers new alfresco entertaining areas, including a custom-designed aft deck transom cabinet that transforms into a serving area and forwe deck dinette with sun-pad. The E56XO and her spacious beam provides a fully-equipped galley, flexible salon area, and lower helm on the main deck, along with three comfortable guest staterooms below deck. A full-beam midships Master room, VIP cabin in the bow, and twin guest cabin to starboard. Powered by twin Cats 715hp engines, the E56XO is estimated to reach a top speed of 26 knots; while with the optional Volvo IPS and 725hp she will attain a top speed of 32 knots. It was twelve years ago in 2004 when Rizzardi launched the 45 Incredible, a model which represented a new modern line up for the South Rome builder and would in less then half a decade not only be its best seller but also in the category and type of yacht it represented. Now returning back into full function since couple years the Latina in Rome located Rizzardi presents the project for a new 48 IN, a face lift of the 45 in various areas, see extended fiberglass hard top, renewal of the bathing platform design, and the addition of an aft crew cabin as seen on the 50 Incredible launched in 2011. The rest is much more the same and why not, since the 45 as is the 48 IN already represented perfection in its layout and performance. The three double cabin accommodation plan in the 48 IN versus the replacing 45 has the added bonus of a crew cabin aft, and two layout choices with changes coming to a larger L-shape sofa and smaller galley choice. 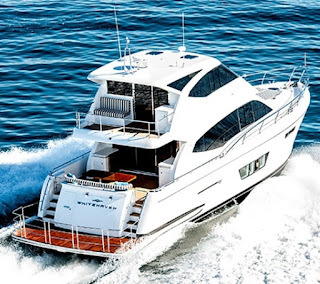 Power comes from twin Man 730hp engines with surface drive propulsion which give a top speed of 44 knots and a cruise of 38, with an 11 knots planning entrance. Part of the Neptune Marine Group, Elling has gathered a follow up of fans in the last decade with the E3 and E4 models, so the news of a completely new flagship last year has been an important waiting event. Measuring at over nineteen meters, the new Elling E6 has looks which in pictures dictate it as a stretched out version of the E4. Obviously that cannot be the case considering the differing in dimensions of about fifteen feet. The E6 offers an accommodation plan sleeping six in three double cabins which include a full beam midships located master stateroom. Rightly so some features which have Elling signature. as being self righting yacht is also featured on the E6, unusual in a yacht this size and smaller see E3 and E4 models. But also important considering the new big Elling just as the smaller ones offers a trans Atlantic range. Power for the Elling E6 comes from a large main Volvo 900hp set up, and 75hp emergency wing engine. Tecnomar new Evo line up designed by Gian Marco Campanino brings a fresh look to production sport yachts. The line so far features an offer of three projects of 55, 68 and 80 feet in dimensions. The Evo 80 is the largest of the offers, and just enters into super yacht territory with an overall length of just under 24 meters. The standard layout of the Tecnomar Evo 80 offers a four double cabin arrangement, with two crew cabins sleeping three located aft. The main deck is fully dedicated to a large saloon for relaxed lounging, while a fully enclosed galley is located to port side on the lower deck. 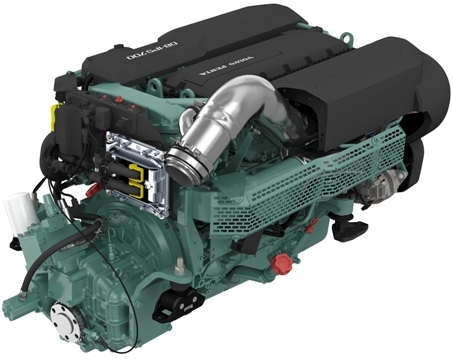 Power options are triple Volvo D13 900hp with IPS pod propulsion. The timeless and elegant Maiora brand, in its continuous search for innovation and perfection announces the launch of the new 33FB. Its planing hull made of fiberglass, with soft and flowing lines, will allow a comfortable sail even in rough sea conditions and reaches thanks to twin MTU 2600hp engines the maximum speed of 28 knots. Stepping on board, on the main deck, the saloon is airy, with a lot of natural light coming from large windows, and furnished with two comfortable sofas and armchairs that create the lounge area. An open wall separates the lounge area from the dining area allowing the spread of light all over the room, to avoid the feeling of closed spaces. Going towards the bow, there is a fully equipped spacious and light filled galley, with white lacquered furniture. The owner's area, which is located forward part of the main deck, occupies the full beam of the vessel and is characterized by large windows and warm colors of the decor. The bed head is decorated with geometric patterns created with different materials, which make the environment sophisticated and precious. Careful planning and meticulous attention to details makes the interior design elegant and cozy, giving the visitor a warm feeling of well being and relaxation. The warm tones of the dark oak floor, together with the essences of the lining in dove-gray color are combined with the light tones of fabrics giving the room a warm joy of serenity and warmth. On the lower deck is two spacious guest cabins full of light with two single beds each, and two spacious VIP cabins which give privacy to all guests on board, offering moments of relaxation. The crew area is located at the bow and is accessible through the galley, and it is organized with a dinette, three cabins, two bathrooms and the laundry. The incredible outdoor spaces are fully optimized in the 33FB to enjoy life in the open air. The large flying bridge is furnished with a comfortable sofa which combined with a full size bar make a fantastic lounge area offering additional entertainment and relaxation for guests. In the bow area of the flying bridge, a complete control station allows guests to enjoy the navigation in open air. The aft cockpit features a comfortable dining table to enjoy meals in company and "en plein air" during navigation. On the bow, when the hatch opens it, reveals a beach house elegantly furnished. In this area, two comfortable sun beds, give the guests the chance to enjoy navigation in complete relax while looking at wonderful panoramas. Volvo Penta’s diesel engines offer the new D8, meeting growing demand for an engine with 600 horsepower, extending the range for greater flexibility and choice. The units will also be available for IPS with the IPS800 unit. The design of Volvo Penta’s diesel engines means minimal vibrations and low noise levels. This is enabled by the latest common rail technology. Meanwhile the engine’s wide rpm range delivers smooth handling during both acceleration and cruising. The result is enhanced onboard comfort. In line with Volvo Penta’s other diesel engines, which have helped establish Volvo Penta as a world-leader in complete power systems for marine applications, the D8 offers Volvo Penta’s trademark torque and excellent power to weight ratio. High torque at low rpm results in rapid acceleration and enhanced maneuvering power. At high rpm, the full-throttle torque ensures efficient cruising speed in all conditions. Fuel efficiency and low emissions are also hallmarks of Volvo Penta’s engines which have been further improved with the D8 engine, thanks to modern engine technology. Both the D8 with IPS and D8 Inboard are complete high performance power systems that can offer simple and intuitive maneuverability thanks to Volvo Penta’s joystick technology. IPS comes equipped with joystick control, while Volvo Penta’s Joystick Inboard is an optional extra with D8 Inboard. In both instances, each system can offer precise and responsive steering, making even complex maneuvers such as docking possible with the touch of a fingertip. D8 with IPS and D8 Inboard are available with a number of options that can further enhance the ease and safety of boating. These include Volvo Penta’s Interceptor System, which can handle all trim adjustments at the push of a button; and Volvo Penta’s Glass Cockpit System, the fully integrated control and monitoring system. Galeon's new 365 HTS is a void filling model in between the long standing 325 and 385 models. Designed by Italian Roberto Curto, the 385 HTS is a fully enclosed hard top model, with patio door. The swivel window in between the aft sun pad and C-shape dinette to port side make all the cockpit deck become an open space. Interior layout presents itself in two cabins, with an option to have the forward cabin enclosed, and a C-shape dinette to starboard. Power comes from twin engine starting from standard petrol gas units twin Mercruiser 250hp and go up to 350hp, or diesel 225 or 300hp options from Volvo. 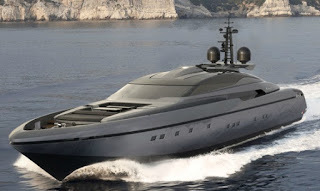 Baglietto, the historical boat builder from La Spezia, Italy, presented a new super sport yacht project pencilled by Francesco Paszkowski Design in Miami during an event held at the Casa Tua restaurant. The new project is for a new 44m Open, continuing Baglietto’s long-standing tradition of Super Sport Yachts, which in the past had already made the brand’s success with yachts like the 28m launched in 1994 which for a short time was the largest open sport yacht, and the follow up to this model as the 32m 2004 and 34m in 2005. Consistently with the boat builder’s will to reinterpret its precious heritage in a modern, contemporary style, the new 44m Open stands out for the great live-ability of both its outdoor areas and interiors, while preserving the aggressive look and impressive performance of a sporty craft. Two possible layouts are available, with four or five cabins, as well as a third option in which the main deck can be raised, making room for a larger master cabin. A wide sunbathing area with a small custom-made pool can be found aft, while a second living area located forward allows to enjoy the sea view in the utmost privacy. Power for the 44m Open will come from twin MTU 3589hp with top speeds of up to 27 knots. The very first steel and aluminium 42 metre yacht from the Long Range line, Overmaine Mangusta 42 Oceano was launched on Saturday 4th June. The launch ceremony took place at the new shipyard in Pisa. The Owner and his family was present, together with the local authorities, the Mayor of Pisa and the of Viareggio, designer Alberto Mancini, the Balducci family and the entire company staff, both excited about and proud of this great achievement. The transition required significant investments in infrastructures, new facilities of 22000 squared meters, of which 9000 are covered, were built at the Pisa wet dock, human resources and lots of time. The company believed strongly in this choice, aware it was fully able to play a key role in this segment too, thanks to its experience of over thirty years. Designed by Alberto Mancini, Mangusta Oceano 42 is a beautifully modern and elegant yacht which expresses her proportions through a blend of taught, sharp lines combined with softer sections. A careful study was carried out on the light aboard, and a new concept developed, which provides for two innovative areas. On the deck at bow the external area was designed with two separate sunbathing areas which come together in a swimming-pool with a waterfall featuring an infinity effect. Glazing on the bottom of the swimming pool brings light and semi-transparency into the Owner suite head located on the underlying deck. Astern, on the other hand, the hatch features transverse cuts in glass through which visitors can glimpse a fully-furnished beach area. Once open, it extends over the sea creating a platform where the glazed surfaces turn into a source of natural light which lets in the nighttime lighting of the underwater aft lights. The interiors have been designed to welcome up to twelve guests and seven crew members ensuring the utmost privacy and freedom of movement. Here, everything converses with the great outdoors. Indeed, there are huge glazed surfaces in the salon through which natural light enters and in the other areas glass transparencies light up the various different areas, increasing the perception of space. The Mangusta Oceano line flanks the traditional one of Mangusta open yachts, which will still be built in Viareggio and with which the Group is, and indeed wishes to remain, a world leader in the Maxi Open sector. Overmarine Mangusta Oceano 42 will be presented at the upcoming autumn boat shows. Third in the launches concerning Whitehaven 6000 series, the Flybridge takes inspiration from the 7000 model offering a spacious entertainer’s cockpit, tender garage, astern galley through saloon, three double cabin accommodation below, and most of all an enclosed flybridge deck. As the other Whitehaven the 6000 Flybridge is offered with a total of six different layouts, two for each deck, along with contemporary forward or aft galley saloon option which flows into a Euro-style cockpit. In an effort to deliver a smooth ride, the hydro-dynamically designed hull ensures soft entry and dry ride, along with an incredible range thanks to the 5500 liters fuel capacity. A consistent feature across the Whitehaven 6000 range is the impressive full-beam midships master stateroom. The enclosed bridge of the 6000 Flybridge is accessible from the main saloon via an internal staircase to starboard. Options for the bridge are for a C-shape or L-shaped dinette, different wet-bar layout options, and a central helm station which may feature only one companion seat to starboard or two located on both sides. Coming on the heels of the launch of a new important 66 Dirigo flagship, Sabre does not sleep and presents the renderings for a 45 Express Saloon project. There is not much information yet about this project, but 3D images show Sabre presenting an innovative aft deck with a two entrance passage way and a C-shape dinette able to be converted in an extra function of a sun-pad. Sabre also advises that the 45 offers exterior spaces in line with the 38 model, and interior accommodation spaces very close to the bigger 48. Launch is planned for early 2017. In hind sight this title is a bit misleading as the closure of Baia Yachts in Naples cannot be considered as just another loss. In reality it is much more to that. A lot more if one consider the history in bringing innovations Baia delivered in both technological and design aspects of cruisers and yachts. The South of Italy, Naples yacht builder has been on the fore front of things in sport cruisers and yachts since the seventies, with designer Galeazzi also getting his trade with Baia from the early nineties and continued till the very end. Since then Galeazzi, who started with Cantieri del Golfo of Gaeta in the eighties, has taken interior design for most of Azimut's sub eighty yacht fleet, and also taken design of Posillipo models at the turn of the century. Baia along with Italcraft was one of the most innovative builders during the eighties period, from being the first to use Arenson type trim surface drives on the B33 in 1980, to the innovative removable hard top as launched with the 48 Flash in early 1999, and then followed on the other bigger models. Baia was also not afraid to compete in races, with the builder winning the Venezia Monte Carlo round Italy race in 1990 with a full production B50. If you are not aware of boat racing consider this one as a Paris Dakar type endurance race for boats. Baia again won the Endurance Class Super Sport category on a Donzi Z38 in 2010, and before that twice the Viareggio Monte Carlo with the 63 Azzurra in 2007 and 54 Aqua in 2008. Both of these being again production models. Unlike other boat builders Baia was trying to survive and go out of the recent crisis, two semi displacement super yachts, and a new 63 project have been in the works for couple years. It will be interesting to see what Baia will be if a new ownership happens. The Capasso family has been a very healthy turn around when they purchased it in 1972, not only for Baia but for boat building in general. Hope to see you back soon Baia!